Princeton is a community of learning that is enriched by the variety of experiences and perspectives of its students, faculty, and staff. The University is committed to building a diverse campus community to ensure that students explore their interests, discover new academic and extracurricular pursuits, and learn from each other. More than ever, through its generous financial aid program, Princeton is making its distinctive education accessible to students from a broad range of cultural, ethnic, and economic backgrounds. 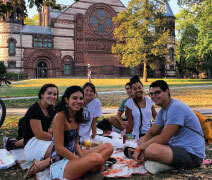 Financial Aid: Princeton’s need-based financial aid program is one of the best in the country, reflecting the core value of opportunity and our desire to attract the most qualified students regardless of financial circumstances. Admission decisions are made without taking a family’s financial resources into account. Students with financial need are provided scholarships, which do not have to be repaid, rather than loans. About 60% of undergraduates receive a need-based scholarship from Princeton. The average grant award for the Class of 2022 was $53,100. Chartered in 1746, Princeton is renowned for its commitment to undergraduate teaching. The University provides its 5,260 undergraduate students with unique academic opportunities that prepare them for positions of leadership in countless fields. 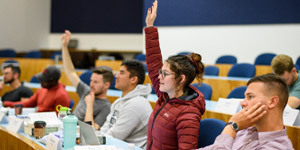 Students benefit from small class sizes and one-on-one advising with faculty, particularly while doing independent work such as the senior thesis. The academic options at Princeton give students a great deal of flexibility in shaping their intellectual interests while working toward either a Bachelor of Arts or a Bachelor of Science in Engineering. Students may also choose from among 55 interdisciplinary certificate programs, creating combinations of academic interests. For example, a student might major in Electrical Engineering while earning a certificate in Latin American Studies. The University is located in the town of Princeton, New Jersey, which has a diverse population of 30,000 residents and is situated between New York City and Philadelphia, with rail service to both cities. On-campus housing is guaranteedfor all four years, and nearly all undergraduates live on campus. The interests and talents of Princeton undergraduates translate into countless ways for students to get involved. Students can participate in more than 300 student-run organizations, the arts, civic engagement, student government, religious groups, 37 varsity sports, and 38 club teams.